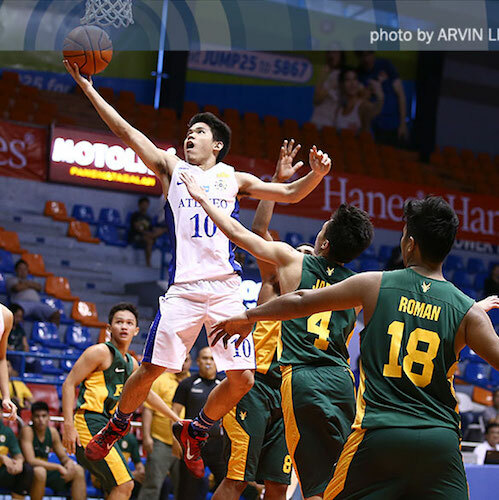 Hoop Nut #UAAP78 Ateneo Blue Eaglets Juniors Division UAAP #UAAP78Jrs Roundup: Eaglets knock off the Baby Tamaraws and face Junior Archers next. 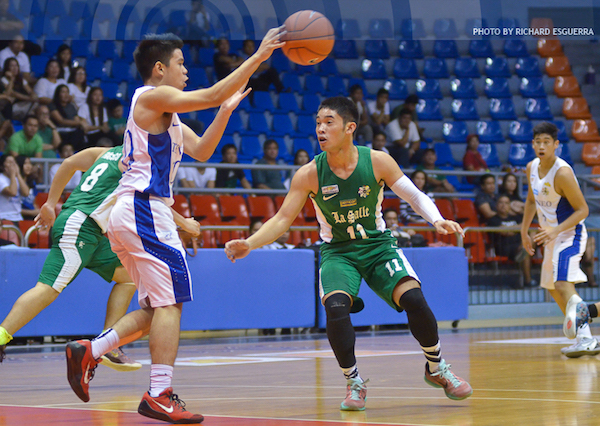 #UAAP78Jrs Roundup: Eaglets knock off the Baby Tamaraws and face Junior Archers next. Jolo Mendoza and the Eaglets are still in contention to defend their title. Action is set to heat up a lot more in the UAAP Season 78 juniors basketball tournament at the Filoil Flying V Arena as the Ateneo Blue Eaglets eliminated the FEU-Diliman Baby Tamaraws and booked a do-or-die clash against bitter rival De La Salle-Zobel on Monday, February 15, 2016. Sophomore playmaker SJ Belangel showcased his offensive wizardry against the Baby Tamaraws, scoring 15 points on 7/8 FG shooting. He also added 8 assists, 1 steal, and 2 rebounds in leading the Blue & White crew. He got able support from graduating players Jolo Mendoza and Gian Mamuyac. Mendoza, last season’s Finals MVP, recorded 14 points, 3 rebounds, 3 assists, and 2 steals, while Gian Mamuyac added 13 markers, 4 dimes, 3 swipes, and 2 blocks. It was a tight contest throughout the first half with Ateneo leading FEU by just seven, 35-28. In the third period, however, the Eaglets began to put a lot of separation between themselves and their foes, outscoring the Baby Tams, 28-19. Coach Joe Silva’s wards then proceeded to cruise to the win, the team’s eleventh for the season. Ateneo was red-hot from the floor, making 60.4% of their field goals. This compensated for their being outrebounded, 41-30. Starting center Jossier Hassan wasn’t able to see action again because of injury. If he continues on to miss their crucial encounter with DLSZ, the Eaglets will have a huge donut hole in the paint. Former Batang Gilas pool big man Kenji Roman led the Green & Gold with 21 points, 13 rebounds, and 3 assists. Jack Gloria and JJ Sapinit combined to tally 24 points in support as coach Michael Oliver’s crew goes off into the offseason. Rivals since their elementary days, Jolo Mendoza and Aljun Melecio are set to match-up again in their pivotal face-off in the semifinals.